Calling all coconut lovers! The perfect sweet treat is here! This nut-free blondie recipe is one of my favorites and is sure to become one of yours too. This is such an easy blondie recipe! 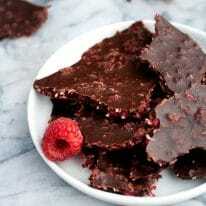 It is perfect for those looking for something to whip together to satisfy their sweet tooth. It is totally low maintenance to put together, requiring nothing but a few minutes of prep time and your excitement to try a new, tasty dessert! 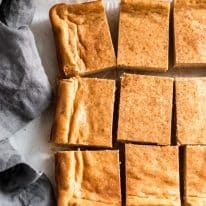 The flavor of these keto blondies is truly to die for! If you are someone that likes coconut, you are going to absolutely love these. They are always a hit and are perfect for any occasion! Many think that by following a keto diet, they are forced to completely eliminate desserts from their diet. That is not the case at all! In fact, I absolutely love desserts and eat something sweet every single day! 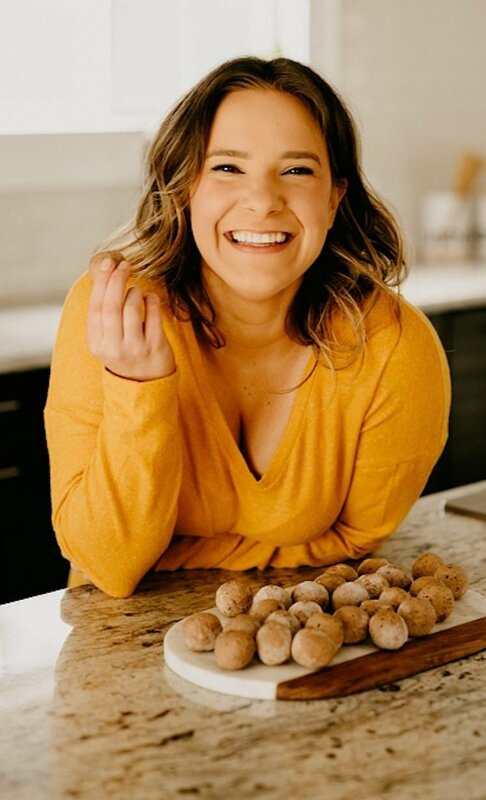 I am able to do this because I make all of my keto desserts with Lakanto Monk Fruit Sweetener. Monk fruit sweetener is a sugar alternative that is perfect for those that want to maintain ketosis, or for those that simply want to cut down on their added sugar intake. It is net-carb free and tastes exactly like traditional sugar. Plus, it substitutes with a 1:1 ratio to regular sugar as well, making the swap super easy! Want to learn more about monk fruit sweetener? Check out this post here! If you are interested in ordering monk fruit sweetener, I am excited to share that I have partnered with Lakanto to share a Taste Test Bundle with you all! If you’ve been waiting to try monk fruit sweetener, now is the time to order! This deal includes classic monk fruit sweetener, golden monk fruit sweetener (which is used in this recipe here), a recipe e-Book, and Lakanto’s Taste Test Guarantee! You can always also use code “REALBALANCED” for 20% off of your total order! Desserts often get a bad reputation, as they are seen as high-carb and unhealthy. Well, these blondies do NOT fall into that category! Low-carb options totally exist within the world of sweets, and this dessert is no exception! These are a great option if you’re looking for something low in carbs and high in flavor! If you are unfamiliar, blondies are quite similar to brownies. They are fluffy and cakey, and not too messy. The difference between the two desserts lies within two ingredients. The first switch that makes them different is the type of sugar that is used. 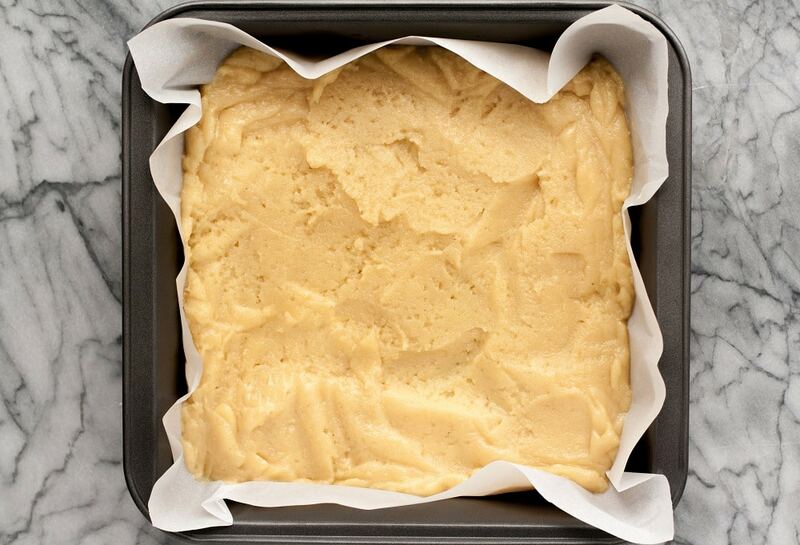 Regular sugar is used in brownies, whereas brown sugar (or, in our case, golden monk fruit sweetener) is used in blondies. The second ingredient switch is what turns the brownie into a blondie: vanilla is substituted for cocoa! Not only is this blondies recipe low-carb, but the dish is also nut-free and completely fine for those with nut allergies and intolerances. It is also keto compliant, allowing those that follow the diet to remain in ketosis. If you are in search of more Real Balanced low-carb and keto recipes, you can find them here! 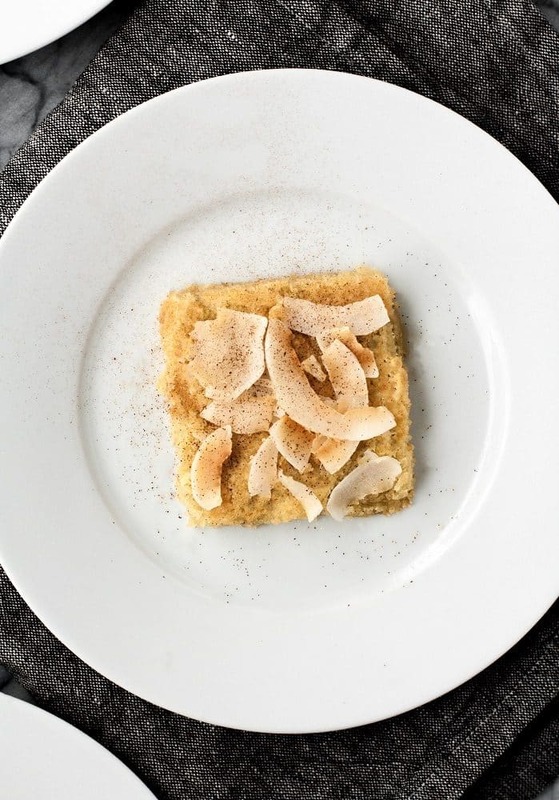 Making These Low-Carb Coconut Blondies is So Easy! 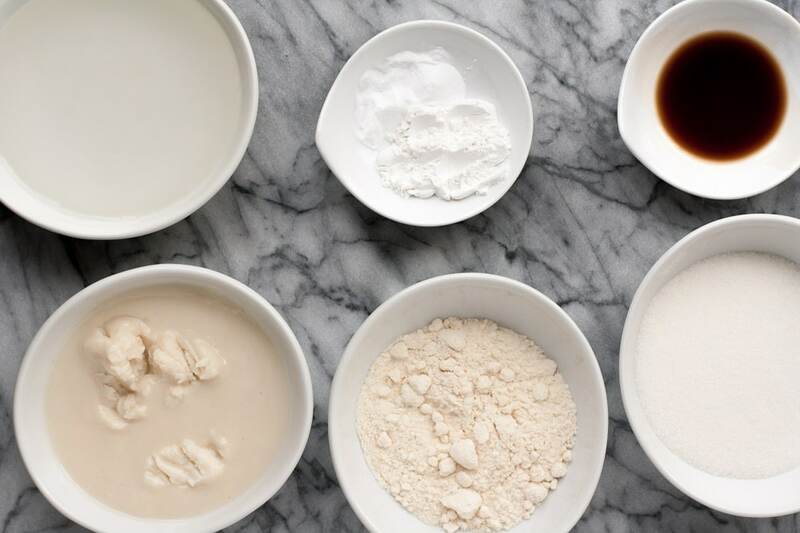 To a mixing bowl, add coconut oil, coconut butter, golden monk fruit sweetener, coconut flour, vanilla extract, cream of tartar, and baking soda. 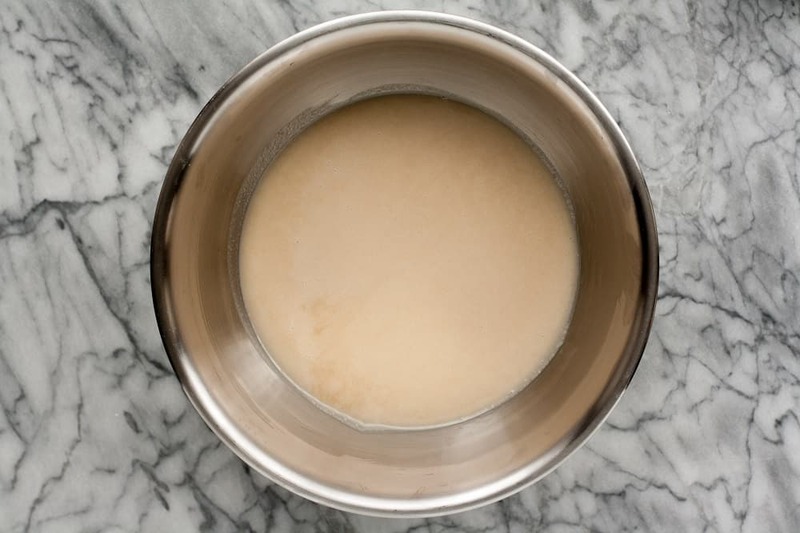 Mix with electric mixer until well-combined. 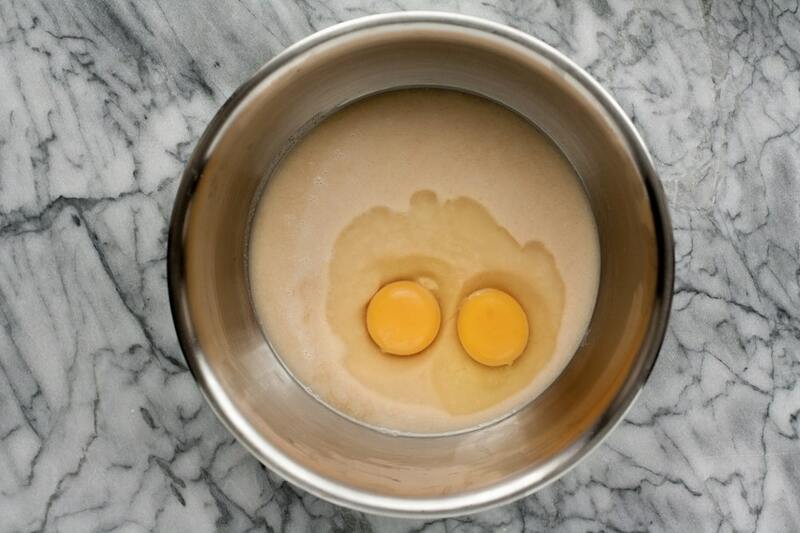 Add eggs and mix again with electric mixer. Top mixture with coconut flakes. Bake until a toothpick can be poked into the center and come out cleanly, about 20-25 minutes. These low-carb keto coconut blondies are compliant with so many diets and allergies. Low-Carb and Keto: One serving contains only 1.6 grams of net carbs! Nut-Free: These blondies are nut-free and safe to consume for those with nut allergies or nut intolerances. 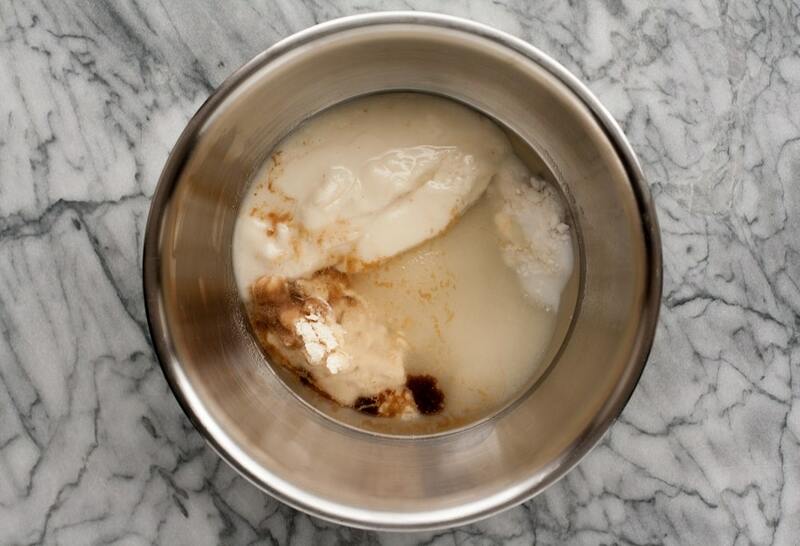 Dairy-Free: This is a dairy-free keto dessert recipe as it is made without any milk, cheese, or cream. 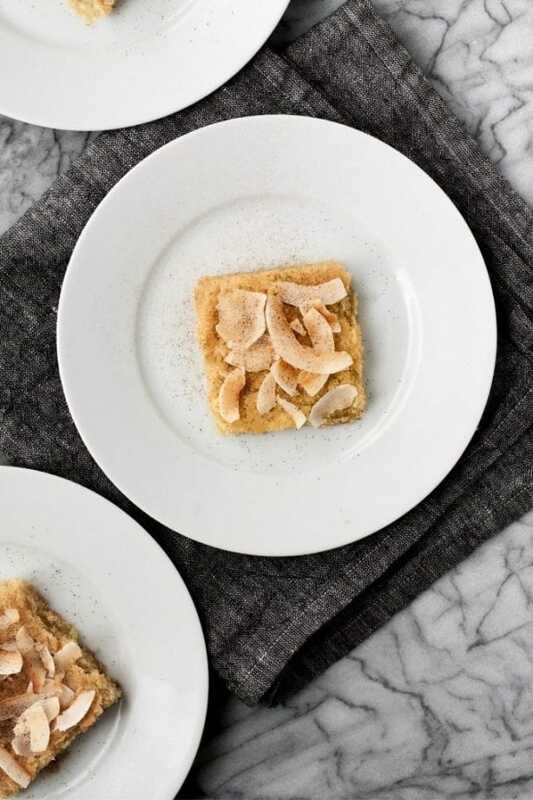 Paleo: This easy blondies recipe is compliant with a paleo diet as it is free from gluten, grains, soy, and refined sugar. 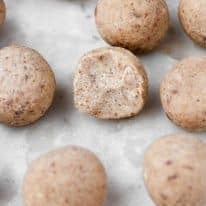 Gluten-Free and Grain-Free: This is a gluten-free recipe, as well as being free from grains, and is safe to consume for those with Celiac disease. Vegetarian: This is a vegetarian blondies recipe. 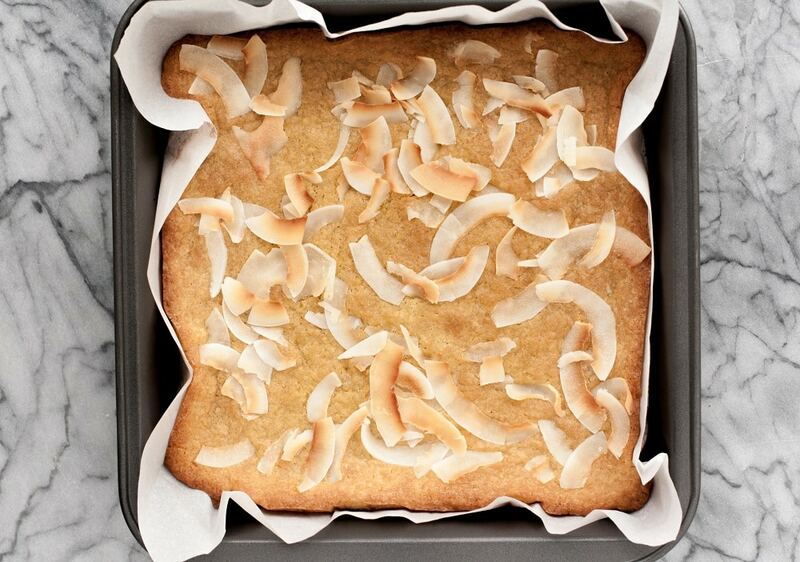 Refined-Sugar-Free: Instead of traditional sugar, these blondies are made with golden monk fruit sweetener. 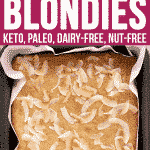 These blondies are very low in carbs, with one serving containing only 1.6 grams of net carbs! This recipe yields 9 slices and 1 slice is considered 1 serving. This dessert full of coconut deliciousness is low-carb, keto, nut-free, dairy-free, paleo, gluten-free, grain-free, vegetarian, and refined-sugar-free. Low-Carb Keto Desserts Are So Easy! Desserts are the absolute best, and I am always excited to incorporate them into my diet while not swaying from ketogenic restrictions. This easy low-carb blondie recipe is one of my favorites! This looked so good but it didn’t turn out well. Between the coconut oil and coconut butter being about a cup and only 3 Tbsp+ Of flour it came out really oily. I checked the recipe a few times and don’t know where it went wrong. Hi, Christine! Sorry you had trouble! 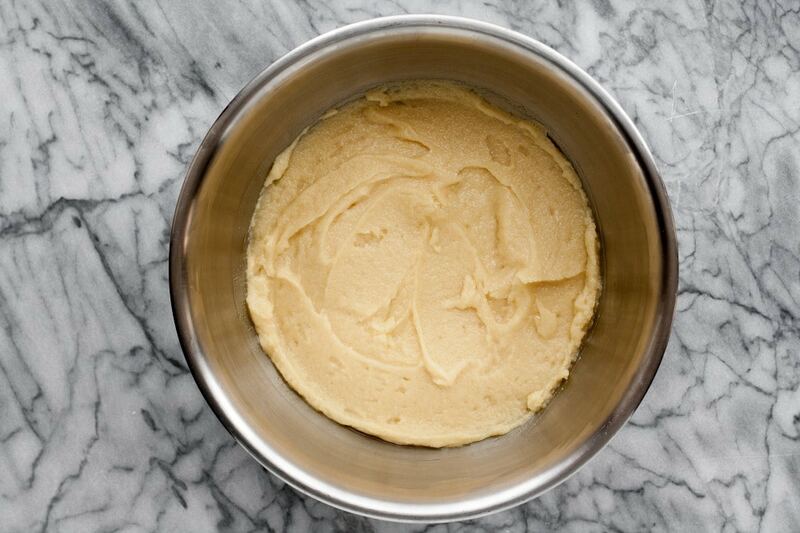 Between the coconut flour and monk fruit sweetener, the dough should look like it does in the process photos. Did yours look like that?